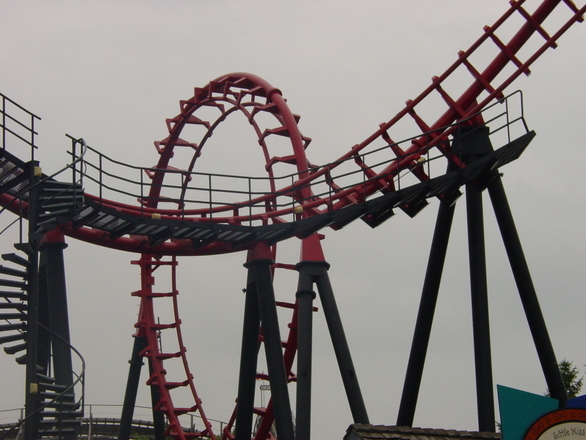 In the last several weeks, there have been numerous reports of severe and even fatal amusement park accidents involving roller coaster riders. Of course, people have been trying to squeeze in their last-minute summer kicks, but they should be able to do so confident in the safety of the rides they board. According to a recent news feature from People, this latest incident involved a 3-year-old boy who was riding on an attraction at Idlewild and SplashZone amusement park in Ligonier, Pennsylvania. Authorities say the boy is still in critical condition at a local level-one pediatric trauma hospital and has undergone at least one major surgical procedure and may need additional surgery. Witnesses say the young boy was riding on a wooden coaster named the Rollo Coaster. It is by no means a giant wooden roller coaster that adults typically ride, but it reached 40 feet at it its peak height and a vertical drop lasted for around 1,500 feet. The ride achieved a top speed of 25 miles per hour. While this may not seem very fast in terms of a car, on a vibrating wooden roller coaster with child riders, it is actually quite fast. This ride was constructed in the late 1930s and did not have any seat belts. There is minimum rider height of three feet, and it requires any rider less than four feet to be with an adult during the ride. In this case, the child was with his seven-year-old brother, rather than an adult, at the time of the serious accident. Witnesses say the car was ten feet off the ground when the young victim fell from the ride and hit the ground. He landed on his head and was severely injured. It should be noted that there has been no formal accusation of negligence in connection with this accident. One thing we typically see in Boston personal injury cases where an accident victim was injured at an attraction run by an entertainment company is that the company or its insurance company will try to defend itself by hiding behind waivers or even going so far as to blame victims. In the case of child victims of personal injury, these companies will sometimes blame the parents. With respect to blaming the victims, we have situations where, for example, a child was supposed to be accompanied by an adult at all times. If an adult does not accompany the child, and an accident occurs, this is a way these companies will try to avoid liability. However, this is not necessarily going to be successful. The first question is why did a staff person allow the child to perform the activity without an adult. This person had the last clear chance to avoid the injury and did not do so. This does not only apply to amusement parks, but also local carnivals, swimming pools, rock climbing facilities, and many other similar venues. The second question is whether this accident would have happened even if there was an adult present. In the case of a boy falling out of a roller coaster, had a parent been there, the same thing might have happened anyway.